The challenges faced by children with obsessive-compulsive disorder (OCD) can ripple outward to negatively impact family function in myriad ways, concluded a study published online this week in the Journal of the American Academy of Child and Adolescent Psychiatry. The findings of the study point to several ways that clinicians can work with families to overcome the burden that pediatric OCD may place on them. For the study, S. Evelyn Stewart, M.D., an associate professor of psychiatry at the University of British Columbia, and colleagues recruited children with OCD, their mothers, and their fathers from pediatric OCD programs in Boston and Vancouver, Canada. A total of 354 mothers, fathers, and affected young people were evaluated using several measures, including the OCD Family Functioning Scale—which gauges OCD-related family functioning impairment at current and worst-ever symptom time points. The study revealed that disruptions in morning and bedtime routines presented the greatest challenges for families, which can lead to “accommodation” by family members (including ritual facilitation and enabling avoidance of triggers). Such behaviors can worsen OCD symptoms and disease severity, as well as treatment response, the authors noted. “In addition to treatment of OCD symptoms, direct coaching by the treatment team is advisable regarding sleep hygiene, management of bedtime routines, and reduction/prevention of related parental accommodation,” Stewart and colleagues wrote. The study also highlighted the emotional challenges that families of youth with OCD face, as youth and parents alike reported feelings of stress and anxiety, followed by frustration/anger in youth and sadness in parents. Additionally, nearly half of the mothers and one-third of the fathers interviewed reported daily occupational impairment. Patients at clinical high risk (CHR) for psychosis appear to experience more sleep problems than those who do not show a heightened risk for psychosis, according to a study in Psychiatry Research. The report also found that sleep disturbance was related to greater positive and negative symptoms and worse overall functioning. The results suggest that targeting sleep disturbance in CHR individuals may provide alternative means of treating the CHR syndrome, the study authors say. Researchers from Columbia University Medical Center and the New York State Psychiatric Institute compared sleep disturbance in 194 help-seeking patients aged 13 to 30 who met criteria for CHR with 66 matched healthy comparison participants. The group used the Structured Interview for Psychosis-Risk Syndromes (SIPS) G1 (“Sleep Disturbance”) measure to assess sleep disturbance in all participants. The seven items of G1 are 0 (absence of sleep disturbance), 1 (restless sleep), 2 (hyposomnia), 3 (daytime fatigue), 4 (sleep pattern disruption), 5 (day/night reversal), and 6 (insomnia for two days). The Global Assessment of Functioning and Global Functioning Social and Role scales were used to evaluate social, occupational, and overall functioning. The researchers found significant differences in positive symptoms, negative symptoms, sleep disturbance (SIPS G1), and general functioning between the two groups—the former three were greater in CHR subjects and the latter lesser in CHR. While no specific sleep items predicted conversion to psychosis or social and role functioning, sleep disturbance item 4 (sleep pattern disruption) and item 5 (day/night reversal) were related to greater positive symptoms. These two specific sleep disturbances and item 3 (daytime fatigue) were also significantly related to negative symptom severity. Sleep disturbance item 4 (sleep pattern disruption) was related to worse overall functioning. Previous studies suggest that depression occurs in youth with attention-deficit/hyperactivity disorder (ADHD) at a higher rate than youth without ADHD, but the effects of ADHD medication on the development of depression are unclear. A study in Biological Psychiatry now suggests that individuals taking ADHD medications may be at reduced risk for subsequent and concurrent depression. Zheng Chang, Ph.D., of the Karolinska Institutet in Sweden, and colleagues used several population-based registers in Sweden to identify 38,752 patients with ADHD who were born between 1960 and 1998 and were living in Sweden in 2009. The researchers tracked the individuals from January 2006 through December 2009 to assess the association between ADHD medication (methylphenidate, amphetamine, dexamphetamine, and atomoxetine) and depression. The primary outcome was occurrence of depression between January 1, 2009, and December 31, 2009, including diagnoses from both hospital admissions and outpatient visits for depression. A total of 2,987 patients experienced depression events in 2009. After adjusting for sociodemographic and clinical confounders, the researchers found that ADHD medication was associated with a reduced risk of depression (hazard ratio = 0.58). For each year an individual was taking ADHD medication during the study period, there was a 21% decrease in the rate of depression in 2009. In addition, the analysis showed that concomitant occurrence of depression was 36% less common during periods when patients received ADHD medications compared with periods when they did not receive medication. For related information, see the Psychiatric News article “Better Ways to Treat Child ADHD, New Thinking for Adults Needed. A study published today in JAMA Pediatrics has found that marijuana use increased and the perceived risks of using the drug decreased among eighth and 10th graders in Washington following the state’s legalization of the drug for recreational use in 2012. No such differences were observed in students in Colorado—which also legalized recreational marijuana use in 2012—and students in other U.S. states that had not legalized the drug. The findings raise questions about how the legalization of marijuana for adult recreational use might change behavior in adolescents. For the study, Magdalena Cerdá, Dr.P.H., M.P.H., of the University of California Davis School of Medicine and colleagues analyzed survey data from 253,902 students in eighth, 10th, and 12th grades from 2010 to 2015 in U.S. schools. The authors compared changes in past-month marijuana use and perceived harmfulness of marijuana use in Washington and Colorado prior to recreational marijuana legalization (2010-2012) with post-legalization (2013-2015) and compared these findings with trends in states that did not legalize recreational marijuana use. In Washington, marijuana use increased 2.0% and 4.1% among eighth and 10th graders, respectively, from 2010-2012 to 2013-2015 while perceived harmfulness declined by 14.2% and 16.1%. In contrast, among states that did not legalize recreational marijuana use, marijuana use decreased by 1.3% and 0.9% among eighth and 10th graders, respectively, while harmfulness decreased by 4.9% and 7.2% over the same period. These trends were significantly different from those seen in states that did not legalize marijuana. No changes were seen in marijuana use or perceived harmfulness among Washington 12th-graders or students in the three grades in Colorado. “Although further data will be needed to definitively address the question of whether legalizing marijuana use for recreational purposes among adults influences adolescent use, and although these influences may differ across different legalization models, a cautious interpretation of the findings suggests investment in evidence-based adolescent substance use prevention programs in any additional states that may legalize recreational marijuana use,” the authors concluded. For related information, see the Psychiatric News article “What You Should Know About Marijuana Use in the United States,” by Michael T. Compton, M.D., M.P.H., chair of the Department of Psychiatry at Lenox Hill Hospital in New York and a professor of psychiatry at Hofstra Northwell School of Medicine. The mental health parity law appears to have been effective at eliminating quantitative treatment limits (QTLs) for large insurance plans, according to a study in Psychiatric Services in Advance. Before the Mental Health Parity and Addiction Equity Act (MHPAEA) went into effect in 2010, many plans covered only a specific number of behavioral health treatment days or visits; post-MHPAEA, such QTLs were allowed only if they were “at parity” with medical-surgical limits. A study of claims processed by Optum, a large managed behavioral health organization, found significant differences after the law went into effect, reported Amber Thalmayer, Ph.D., and colleagues. At the time of the study, Thalmayer was affiliated with Optum; she is now at the Institute of Psychology, University of Lausanne, Lausanne, Switzerland. Between 66 percent and 90 percent of plans in 2008-2009 had annual limits on inpatient or outpatient services, with medians of 30 days and 45 visits, said Thalmayer and colleagues. By 2011, fewer than 1 percent of carveout plans and 3 percent of carve-in plans still had limits on those services. The researchers speculated that the potential administrative burden of matching mental health coverage with other types of medical/surgical coverage made it simpler to eliminate the treatment limits. The researchers also pointed out, however, that increasing access to behavioral health care means going beyond QTL changes and looking at other areas of benefit management. Earlier this year, the Drug Enforcement Administration (DEA) announced that effective January 1, 2017, it would implement stricter renewal policies for registrants of the Controlled Substance Act of 1970. The changes included eliminating the grace period for registrants who failed to file a timely renewal application, as well as reducing the number of renewal notifications sent to registrants. The DEA allows the reinstatement of an expired registration for one calendar month after the expiration date. If the registration is not renewed within that calendar month, an application for a new DEA registration will be required. DEA registration can be renewed on the DEA's website. To log in, registrants need to refer to information on their current renewal notice and/or registration certificate. While much is known of the chronic nature of anorexia nervosa and bulimia nervosa, few studies have examined the likelihood of recovery decades after presentation. A study that tracked the progress of women with anorexia and bulimia for more than 20 years now suggests that the majority of patients achieve long-term recovery. The findings were published Tuesday in the Journal of Clinical Psychiatry. Eddy and colleagues recruited women with a DSM-III-R diagnosis of anorexia nervosa or bulimia nervosa from Boston-area outpatient services from 1987 to 1991. During the first wave of the study, participants were interviewed every 6 to 12 months for nine years. In the second wave, participants were re-contacted by telephone between 20 and 25 years after the start of the trial and asked to assess symptoms in the past year. 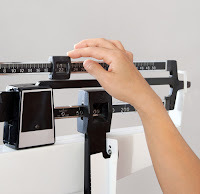 Eating disorder recovery was defined as an anorexia and bulimia psychiatric status rating (PSR) score of two or less for 52 consecutive weeks. Of the initial 246 women in the study, 176 participated in the 20- to 25-year follow-up. During the first wave, 31.4% of participants with anorexia and 68.2% with bulimia had recovered. By the second wave, 62.8% of participants with anorexia and 68.2% of those with bulimia had recovered. Approximately half of those with anorexia who had not recovered by nine years progressed to recovery at 22 years. “While for most patients with anorexia nervosa and bulimia nervosa, recovery is durable, we found that 10.5% of those with anorexia nervosa and 20.5% of those with bulimia nervosa who achieved recovery in the first decade had relapsed at long-term follow-up,” the authors wrote. More information on this topic can be found in the Handbook of Assessment and Treatment of Eating Disorders from APA Publishing. APA members may purchase the book at a discount here. Social functioning appears to be a useful indicator of long-term outcome in people with psychotic disorders and may be an important treatment target that could lead to improvements in other areas of functioning, according to a study in AJP in Advance. Eva Velthorst, Ph.D., of the Icahn School of Medicine at Mount Sinai and colleagues analyzed data from the Suffolk County Mental Health Project, a 20-year prospective study of first-admission patients with psychotic disorders. They looked at social functioning and long-term outcome in 485 individuals with schizophrenia spectrum disorder (schizophrenia, schizoaffective disorder, or schizophreniform disorder), major depressive disorder with psychosis, and bipolar disorder with psychosis, as well as a control group of individuals who had never experienced psychosis. Using statistical analysis, the researchers identified four distinct trajectories over the 20-year period among the individuals with psychosis: preserved functioning (n=82), moderately impaired functioning (n=148), severely impaired functioning (n=181), and profoundly impaired functioning (n=74). The trajectories of profoundly and severely impaired social functioning were associated with worse 20-year real-life functional outcomes in a variety of domains, such as not having obtained a high school diploma, being unemployed, not living independently, and using public assistance. The researchers also found that differences in the level of social functioning were already evident in childhood. The years between early adolescence and first hospitalization appear to be a period in which a substantial number of individuals who later developed a psychotic disorder displayed a steep decline in social functioning. The Food and Drug Administration (FDA) announced Friday that it will remove the boxed warning related to serious mental health side effects from the smoking cessation medication Chantix (varenicline). The language describing the serious mental health side effects seen in patients quitting smoking will also be removed from the boxed warning in the Zyban (bupropion) label. (Because the active ingredient in Zyban is in the antidepressant class, the label carries the class boxed warning for suicidality and antidepressants. This language will remain in a boxed warning for Zyban and other bupropion products.) The announcement was made after a large clinical trial found such risks were lower than previously suspected. The FDA previously requested that the manufacturers of Chantix and Zyban conduct a clinical trial to evaluate the neuropsychiatric safety of the medications in patients without and with a history of psychiatric disorders. The trial enrolled over 8,000 patients in 16 countries who took Chantix (1 mg twice daily), Zyban (150 mg twice daily), nicotine replacement therapy (NRT), or placebo for 12 weeks, followed by a non-treatment phase of 12 weeks. Clinically significant neuropsychiatric adverse events occurred at a similar frequency across treatment arms in patients without psychiatric diagnoses (3.1% to 3.5% in the treatment groups versus 4.1% in placebo group). There was a higher incidence of neuropsychiatric adverse events in patients with psychiatric diagnoses who took Chantix and Zyban (11.8% to 12.2% versus 9.5%). The results of the trial also confirmed that Chantix and Zyban were superior to placebo in promoting smoking abstinence regardless of a person’s mental health history. “The risk of these mental health side effects is still present, especially in those currently being treated for mental illnesses such as depression, anxiety disorders, or schizophrenia, or who have been treated for mental illnesses in the past,” the FDA announced. “However, most people who had these side effects did not have serious consequences such as hospitalization.” Therefore, the FDA believes that this trial confirms that the benefits of taking these drugs for smoking cessation outweigh the risk of neuropsychiatric adverse events. Still, the agency cautioned that patients taking Chantix or Zyban should stop taking the medication if they notice significant side effects while on the medication. Patients and health care professionals are encouraged to report side effects involving Chantix, Zyban, or other medications to the FDA MedWatch program. A study that tracked the long-term mental health outcomes of women who obtained or were denied abortions has concluded that abortion does not increase a woman’s risk of mental health problems five years later. In fact, as was reported this week in JAMA Psychiatry, women who had obtained an abortion demonstrated more positive outcomes initially compared with women who were denied an abortion. “There is a considerable amount of misinformation about negative mental health consequences as a result of abortion,” said former APA President Nada Stotland, M.D., who was not involved with the study. Stotland is an expert in reproductive psychiatry. “It’s important that we, as mental health professionals, have and provide evidence-based information to patients so that they may make their own decisions … without being influenced by inaccurate information,” she told Psychiatric News. For the study, M. Antonia Biggs, Ph.D., of the University of California, San Francisco, and colleagues recruited women aged 15 and older from 30 abortion clinics in 21 states throughout the United States. A total of 956 women were interviewed one week after seeking an abortion, and then every six months for five years. The researchers compared the mental health trajectories of women who received and were denied an abortion (due to the pregnancy being beyond the gestational limits of the facility). The group of women turned away from abortion was further divided into those who gave birth and those who miscarried or later had an abortion elsewhere. The researchers found that women who were denied an abortion, particularly those who later miscarried or had an abortion elsewhere, had the most elevated levels of anxiety and lowest self-esteem and life satisfaction one week after being denied an abortion. These differences quickly improved and approached levels similar to those in the other groups by 6 to 12 months. “It’s time for mental health professionals and for our professional organizations to be more active advocates for this important issue,” Stotland said. For related information, read APA's Position Statement on Abortion and Women’s Reproductive Health Care Rights. “Suicide is like a bomb that goes off, killing one person but injuring everyone in range,” Kirk Brower, M.D., a professor of psychiatry at the University of Michigan, told Congressional staffers at an APA-sponsored briefing yesterday on Capitol Hill. Brower knows the subject intimately. His brother died by suicide when both were in their teens. He recounted living in the years since then with a varying mixture of guilt, anger, relief, and fear—the collateral damage of a single suicide. The ongoing nationwide tragedy of suicide takes the lives of 44,000 Americans a year and knows no geographic, demographic, or cultural bounds, APA President Maria A. Oquendo, M.D., Ph.D., told the 100 or so people in attendance. In fact, suicide claimed more American lives in 2015 than war, homicide, and natural disasters, added Christine Moutier, M.D., chief medical officer of the American Foundation for Suicide Prevention. 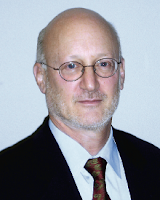 J. John Mann, M.D., a professor of translational neuroscience in psychiatry and radiology at Columbia University, has devoted much of his career researching suicide. He noted that 95 percent of suicides occur among people with some psychiatric illness, often depression and often untreated. Mann has conducted imaging studies showing how the structure and function of the brains of people who commit or attempt suicide differs from those of controls. The difference was expressed in their decision-making capacity—a trait that could be tested for and monitored as a preventive measure. 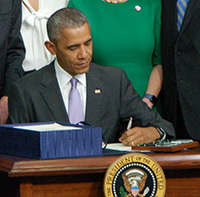 In addition to higher research budgets, improved access to mental health care—like that embodied in the 21st Century Cures Act, signed into law the day before by President Barak Obama—could help chip away at the ongoing tragedy of suicide, concluded Oquendo. For more in Psychiatric News about suicide prevention, see Group Unveils Strategy for Reducing Suicide Rate 20 Percent by 2025. Irritability and fear/anxiety appear to be prominent clinical antecedents of new-onset major depressive disorder (MDD) among adolescents in at-risk families, according to a report by researchers in the United Kingdom. Moreover, economic disadvantage and recent psychosocial adversity were also found to play a significant role in the development of new-onset MDD in adolescents. The results, published online in JAMA Psychiatry, suggest that prevention and early intervention strategies may need to not only target clinical features in high-risk children but also incorporate public health and community strategies to help overcome social risks, especially poverty and psychosocial adversity. The researchers conducted a four-year longitudinal study (April 2007 to March 2011) of offspring of depressed parents in the general community. The participants included 337 families in whom the index parent (315 mothers and 22 fathers) had experienced at least two episodes of MDD and among whom there was a biologically related child in the age range of 9 to 17 years living with the index parent at baseline. The severity of parental MDD and familial loading for MDD in other family members were used to index the degree of offspring familial risk. Standardized questionnaires and scales were used to assess mood, anxiety, fear, irritability, and disruptive behavior among the youth at baseline. A measure of psychosocial adversity was derived by asking participants about stressful life events occurring within the past 12 months. Sample items included the death of a close friend, serious illness, being bullied, and increased quarreling between parents. Furthermore, low parent-reported household income was considered a measure of economic disadvantage and was defined as a gross income of £20,000 ($24,368) or less. Twenty adolescents (6 males and 14 females) had new-onset MDD, with a mean age at onset of 14.4 years. Irritability and fear and/or anxiety were significant independent clinical antecedents of new adolescent-onset MDD. All the measured familial/genetic and social risk indicators directly influenced risk for new-onset MDD. “Family-based programs may be indicated in children at high familial risk of depression because parental depression is associated with social adversity (poverty and stress exposure) and moderates the effectiveness of preventive programs focusing on the child,” the authors wrote. For related information, see the Psychiatric News column “‘Typical or Troubled’: Early Intervention Program With Proven Effectiveness,” by then APA President Renée Binder, M.D. When prescribing clozapine—the only antipsychotic that has been FDA-approved for treatment-resistant schizophrenia—clinicians have been required by an FDA boxed warning to closely monitor patients’ blood to reduce the risk agranulocytosis and other adverse events. However, a study published in Psychosomatics now suggests pulmonary and gastrointestinal illnesses may be the most likely reason for patients prescribed clozapine to be hospitalized. The researchers conducted a retrospective chart review of patients with schizophrenia or schizoaffective disorder who were taking clozapine and admitted to an inpatient medical unit at the Mayo Clinic for nonpsychiatric illness between January 1, 2003, and August 1, 2005. A total of 104 adults aged 18 and older were included in the analysis. They were admitted into the hospital a total of 248 times, and the mean clozapine dose prescribed at the index admission was 407.2 mg. Pulmonary illness and gastrointestinal illness were the most common reasons for hospitalizations at 32.2% and 19.8%, respectively. The most common pulmonary diagnosis was pneumonia, accounting for 58% of pulmonary admissions. The most common reason for gastrointestinal diagnosis was hypomotility, at 61.2%. The authors noted that clozapine was discontinued due to neutropenia in two patients; there were no patients admitted for myocarditis. Psychiatric consultation was obtained in 25% of the hospitalizations, “most frequently for ‘clozapine management,’ retitration recommendations, or possible clozapine toxicity. Clozapine dosage adjustment infrequently occurred, and complete discontinuation was rare,” they wrote. “While these findings are not indicative of causal relationships, an increased awareness of medical problems that lead to hospitalization in patients prescribed clozapine is required among all disciplines,” the authors concluded. A systematic review and meta-analysis published Tuesday in JAMA suggests that depressive symptoms may be more prevalent among medical students than others of similar age in the general population. The findings, which also revealed that a low percentage of these students seek care, point to the importance of identifying physicians at every stage of their career who are experiencing distress and helping them get the care that they may need. For the report, Douglas Mata, M.D., M.P.H., of Harvard Medical School and colleagues analyzed 195 studies that reported on the prevalence of depression, depressive symptoms, or suicidal ideation in 129,123 medical students in 47 countries. According the analysis, 27.7% of students screened positive for depression—a percentage the authors noted is “higher than that reported in the general population.” A total of 11.1% reported suicidal ideation during medical school (prevalence estimates ranged from 7.4% to 24.2% depending on the screening instrument and cutoff score). Among the medical students who screened positive for depression, 15.7% reportedly sought psychiatric treatment, additional analysis revealed. In September, APA President Maria A. Oquendo, M.D., Ph.D., wrote of the mental health challenges that some physicians face and the factors that may contribute to their hesitancy to seek mental health care in a Psychiatric News column. “[M]ost physicians have enormous personal strength, both emotional and intellectual ‘reserves.’ Accordingly, they often are able to compensate for the presence of psychiatric symptoms, which both makes it difficult to identify them so they can receive assistance and leads them to feel more isolated, since no one knows how they really feel,” she wrote. Repetitive transcranial magnetic stimulation (rTMS) has emerged as a safe and effective treatment option for patients with treatment-resistant depression, but many patients fail to respond to the treatment or experience a relapse of symptoms. While some studies suggest the best strategy for sustaining the antidepressant effect of rTMS is regular maintenance sessions, others suggest offering the treatment only if relapse occurs (known as reintroduction of rTMS). A study published in the Journal of Neuropsychiatry and Clinical Neurosciences in Advance has found that a patient’s response to rTMS the first time may predict how well he or she will respond to a subsequent session of rTMS. The study authors noted these findings support the use of rTMS reintroduction therapy for responders, which could potentially reduce the number of sessions that they might have otherwise received as part of maintenance therapy. 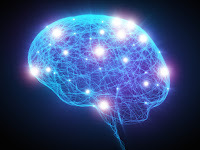 The findings arose from a retrospective chart review of 225 patients who received rTMS for treatment-resistant depression as a part of the clinical program at the Berenson-Allen Center or Noninvasive Brain Stimulation at Harvard Medical School from 2000 to 2015. Of this group, 18 patients met the criterion of having a reintroduction of TMS therapeutic strategy, though two were excluded for inadequate symptom data. Ten of the 16 remaining patients were responders to the initial rTMS treatment (classified as at least a 50% reduction in Beck Depression Inventory [BDI] score), and eight of these 10 responders were also responders to reintroduction. Three patients who partially responded to the initial rTMS treatment (25-50% reduction in BDI) also responded to reintroduction rTMS. There was also some correlation in the overall strength of response between sessions; that is, patients who had a strong improvement in depression symptoms after the initial session tended to have greater BDI reductions after the reintroduction session as well. The authors estimated that the magnitude of the initial response explains approximately one-third of the magnitude of subsequent response. For related information, see the Psychiatric News column “Neuromodulation May Benefit Patients With Varying Psychiatric Illnesses,” by Andrew Leuchter, M.D., director of the Neuromodulation Division at the Semel Institute for Neuroscience and Human Behavior at the Semel Institute for Neuroscience and Human Behavior at the David Geffen School of Medicine at the University of California, Los Angeles. 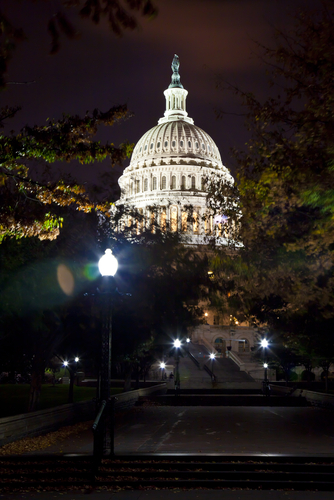 The House of Representatives last night passed the 21st Century Cures Act by a vote of 392-26. This wide-ranging, $6 billion bipartisan health legislation includes significant mental health components and had the support of the Obama administration. The new act embeds medical leadership in the Substance Abuse and Mental Health Services Administration (SAMHSA), improves how the federal government finances and manages evidence-based mental health services, promotes workforce development and integrated care, and toughens the enforcement of mental health parity. • Appointment of a chief medical officer at SAMHSA who must hold a medical degree and have experience treating patients with mental illness or substance use disorders. • $1 billion in state grants to address the opioid epidemic. • Grants for promoting integrated care models for primary care and behavioral health care services. • Grants for training programs like as the APA Foundation’s Typical or Troubled? program, which trains school officials to identify students who may need mental health care. • Request for “clarification” of the permitted uses and disclosures of health information covered by the Health Information Portability and Accountability Act. Annual Meeting Registration Now Open for Members! Join your colleagues from across the U.S. and around the world for the premier psychiatry event of the year! APA’s 2017 Annual Meeting will be held May 20 to 24 in San Diego. Expand your knowledge, network, and meet certification and licensure requirements with more than 450 educational sessions and courses. Starting today, members can register for the meeting and reserve a hotel room. Nonmember registration and housing reservations open Dec. 15. Browse the Annual Meeting site and the preliminary program for more information.